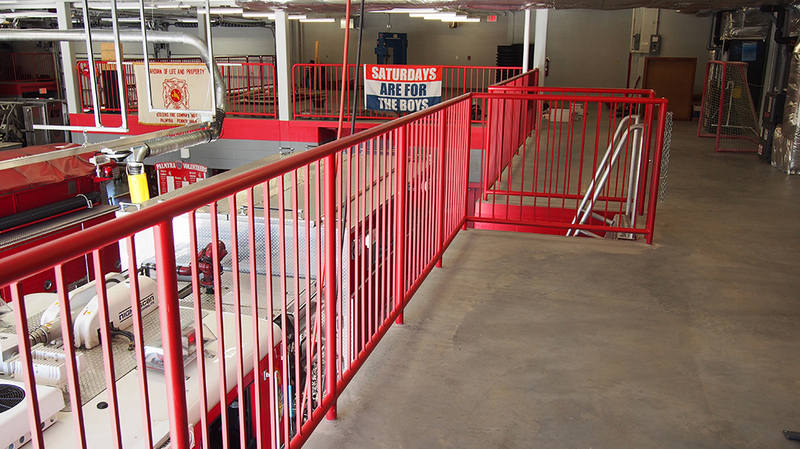 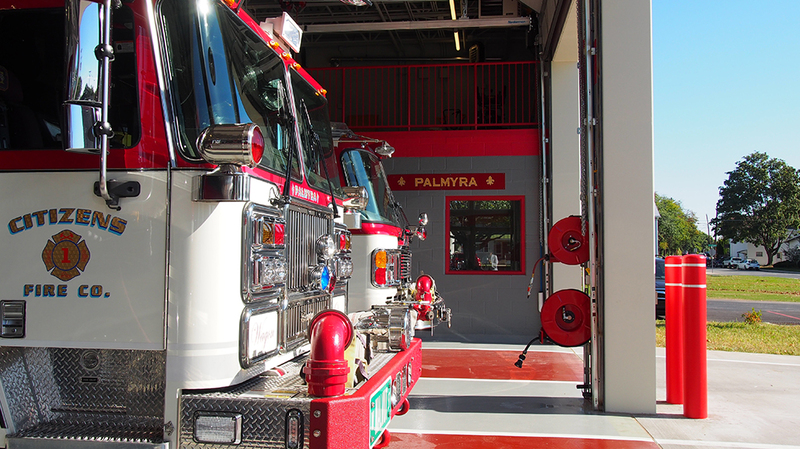 Palmyra Citizens Fire Co. - Pyramid Construction Services, Inc.
Pyramid Construction Services, Inc. served as general contractor for the new construction of the Palmyra Citizens Fire Company Firehouse. 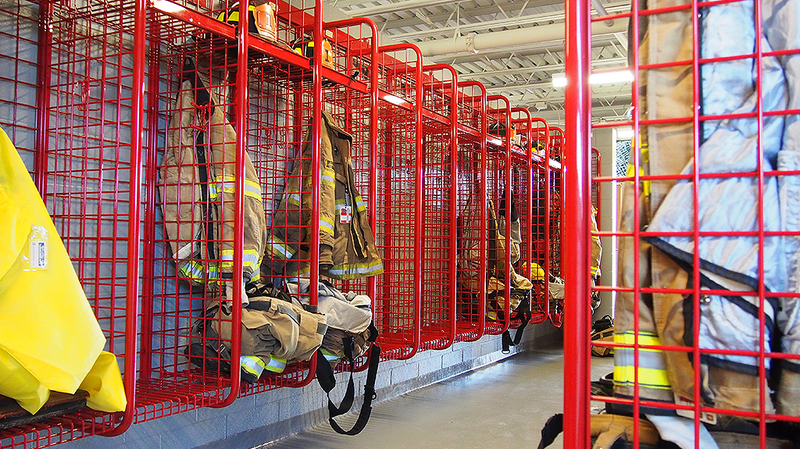 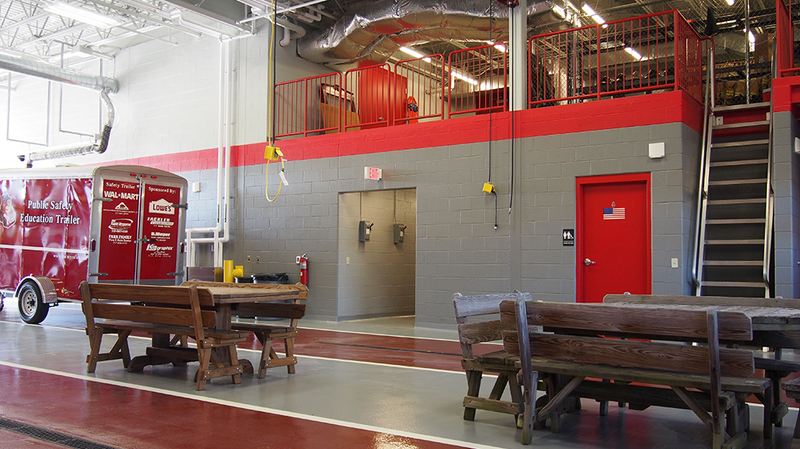 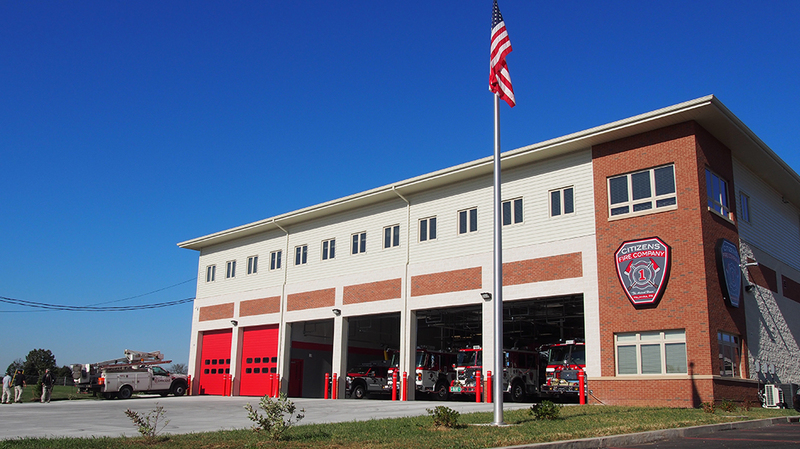 The new facility has four individual dorm rooms for live-in firefighters along with two communal bunkrooms. 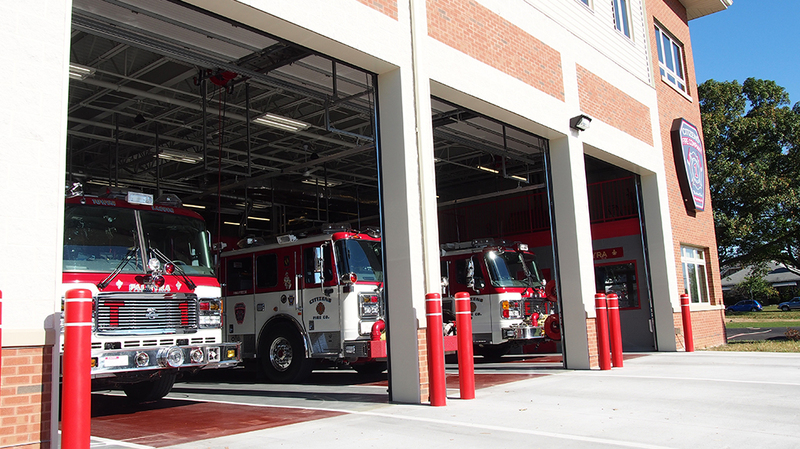 Another feature of the approximately $4.4 million, 25,000-square-feet station are energy-saving measures such as motion-activated LED lights and radiant heat flooring that keeps the interior of the station warm enough to protect the apparatus’ and other equipment. 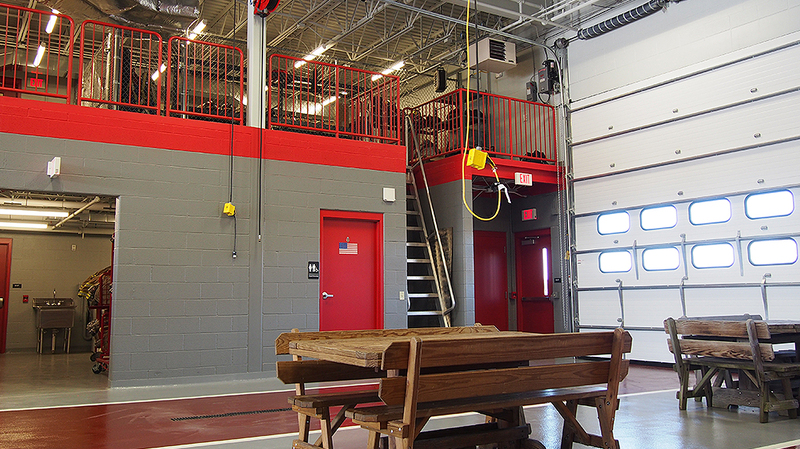 There are also storage rooms and a storage mezzanine along with a larger gym, meeting room and kitchen and cafeteria area. 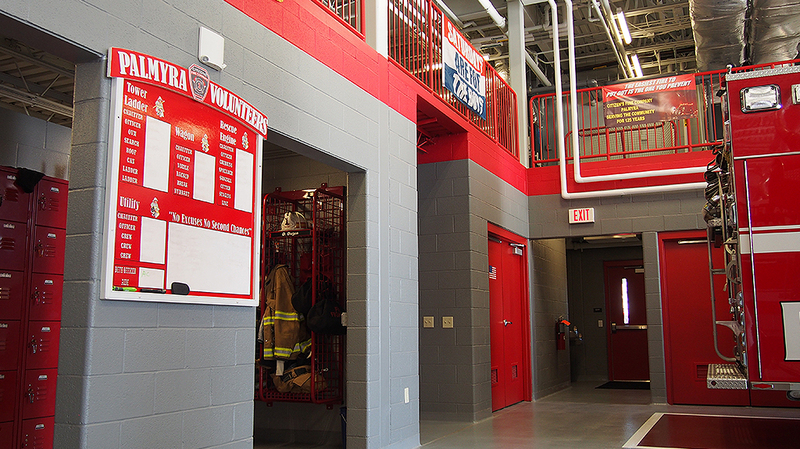 The new station also offers more office space for their officers and administrative staff.